Circus: Prints, Drawings, and Photographs illustrates the charms and thrills of this traveling entertainment during its heyday in Europe and America. The first modern circus appeared in London in 1768; another would debut in Newport, Rhode Island. Each offered equestrian feats. As the phenomenon grew, especially between 1850 and 1950, other animals, acrobats, clowns, and “freaks” were added. 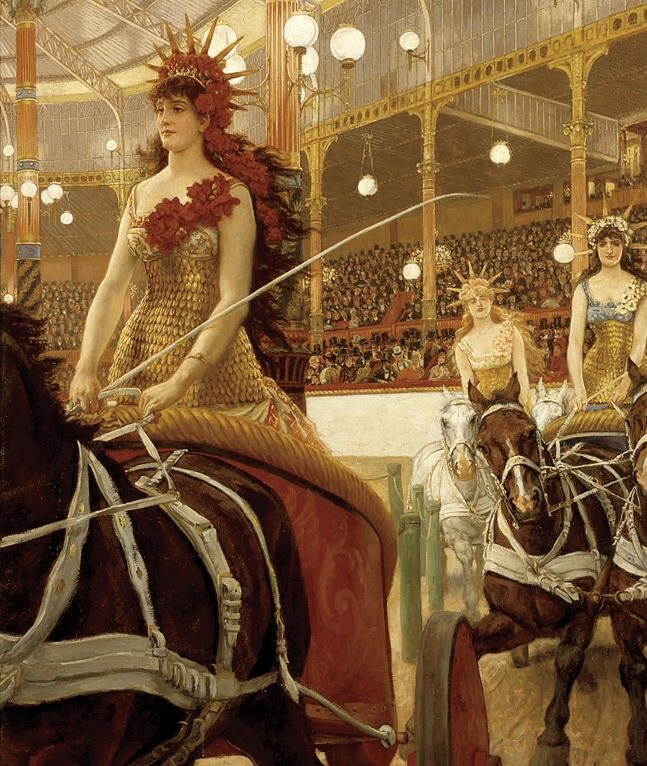 At RISD, James Tissot’s Ladies of the Chariots (circa 1883-85, above), renders circus mythology, while The Nightmare of the White Elephant (1947), by Henri Matisse, captures the dynamism of the center ring.